Update: we've received news that this project is currently on hold. We will update as we learn more. iFLY has submitted a plans to Chesterfield city officials to open a 3-story wind tunnel west of St Louis, Missouri. 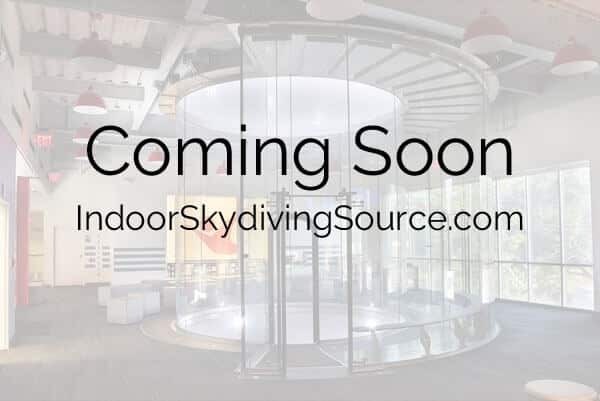 The only 3 story facilities we have seen from SkyVenture have been 14 ft models - so we are guessing this will be similar. Average rating of 5 from 10 review(s). Friends and I have been excitedly waiting for the Chesterfield opening for months... and months. I think an iFLY in Chesterfield would do really well. The area is relatively affluent, there is a large population of teens to 30 year olds, and there is absolutely no activity like this available in the area. Let's go! I flew at I Fly in San Antonio, Texas while on vacation and it was one of the most exhilarating, adrenaline pumping experiences I've ever had. Since hearing about the location in Chesterfield Missouri I've very much been looking forward to it opening so I could go again, I want to learn those flips. I also feel that the business would do very well in that area, there is a lot of money in that area and with proper marketing I Fly Chesterfield would sore! Hope to hear good news on the project soon and flying again soon. I can’t wait!!! Come on St.Louis.... What is the hold up!!! This is a GREAT time with your family... as a party.... with friends!!!!! Did this in KC.... wow!! Amazing! My 15 year old cant wait to start training! Get open soon! My kids just did this in Tampa, FL and the best time and the instructor was amazing. They can't wait for the location in Chesterfield to open. This is a review from the future.